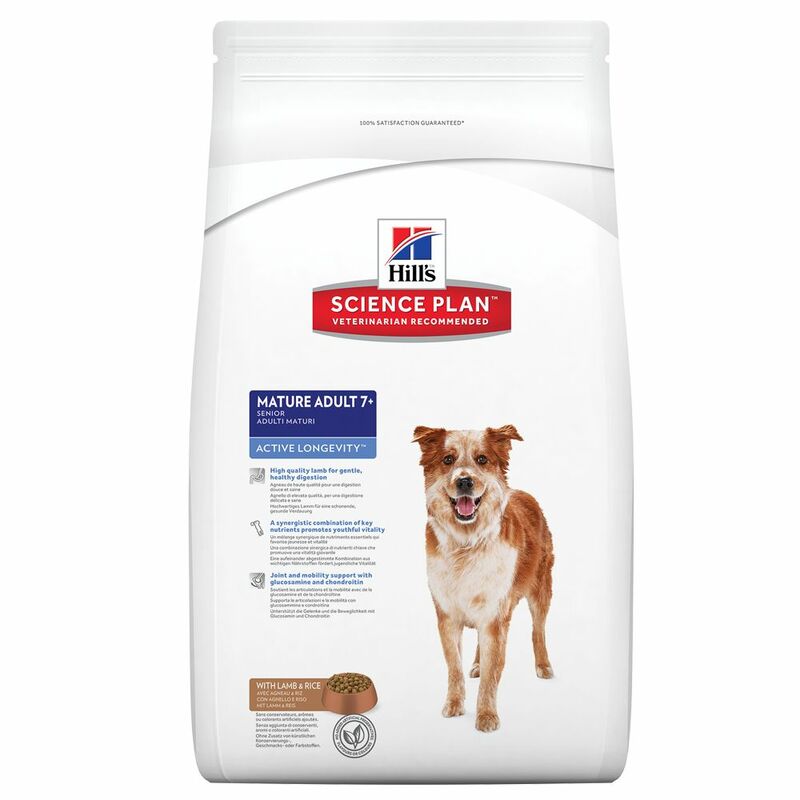 Hills canine mature adult 7 active longevity medium is formulated to sustain mobility and healthy vital organs in the older dog. The regular biscuit size of the active longevity medium is ideal for medium breeds of dog and should be fed to dogs 7 years old and over. Glucosamine and chondroitin from natural sources provide joint and mobility support while balanced sodium and phosphate levels sustain healthy vital organs. The highly digestible ingredients make for optimal nutrient absorption and a great taste which is covered by a 100% moneyback guarantee.